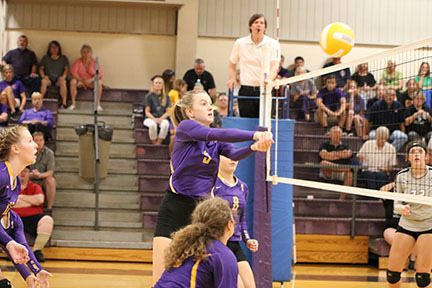 Our Lady Bulldogs opened their volleyball season last night with the varsity squad winning three straight games against the visiting Bauxite Miners. Senior Alexis Roach is seen here returning the ball. The JV team went 0-2.